The ​Video Assistant Referee system (VAR) could be fast-tracked into the knockout stages of this season's Champions League, with UEFA set to make a decision next month. 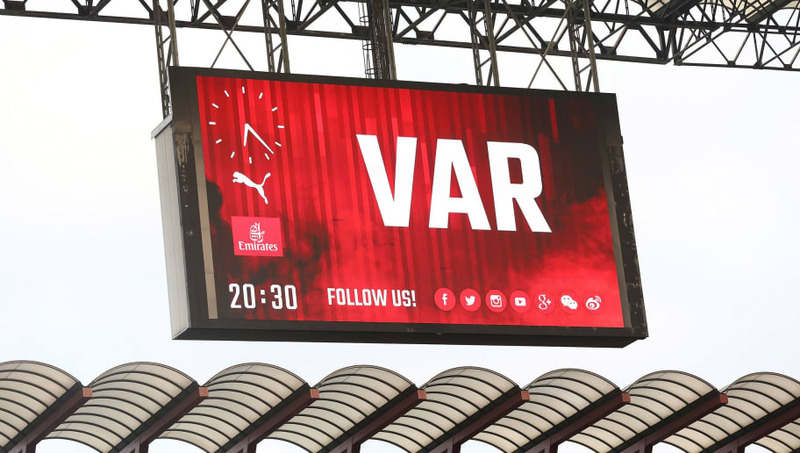 European football's governing body said in September that VAR would be introduced from the 2019/20 season onwards, but discussions have been ongoing for weeks about bringing it in sooner than expected. According to ​BBC Sport, UEFA's fear of game-changing referee errors and the success of VAR at the 2018 World Cup have convinced leading officials to have a rethink. VAR is a hot-button issue at the moment after ​Manchester City were awarded a penalty on Wednesday after Raheem Sterling accidentally kicked the ground when through on goal. Training and workshops for referees are continuing throughout Europe but UEFA believes that there are now enough officials who are well-versed in VAR for it to be introduced in time for the last 16. Ten European referees officiated games with VAR at the World Cup and all of them have been appointed to Champions League matches so far this season. The Premier League is the only one of the 'big five' European leagues yet to implement VAR. The Bundesliga and Serie A introduced it before the 2017/18 season, with Ligue 1 and La Liga following suit 12 months later. UEFA's executive committee will make its decision when it meets in December. The first knockout stage matches are scheduled to take place on 12 February.